Welcome to the Slaughter House-Easter style!!! The entire family set out last weekend to do a little Easter decor shopping! Can you say, "fun times"?? haha! We found this little bunny at Kirkland's. I love him!!! I also picked up that big grey rabbit at Kirkland's too. I found that cute sparkly egg at Pier 1 and I added some burlap eggs to the apothecary jar. Love the way it turned out! A little spring in the kitchen...I let Ebby Lee decorate the chalkboard. We added a small Pier 1 egg and I found this vase at Kirkland's. I filled the vase with moss and threw in some eggs. Right after I uploaded these pics, I took the Christmas cards off the cabinets!!! EEK!! Andrea blogged about her Easter decor and shared this bunny lantern from Pier 1. I fell in love!!! I had the bunny on the kitchen table and he looked GREAT!! But...Nix started playing with him in less than two seconds....so for his safety and my sanity I moved him to higher ground. :) Maybe in a few years he can go back to the table. I don't think I took any "before" pics, but this table was dark brown. (My friend, Whitney, was taking it to Goodwill and I talked her into giving it to me instead!) I used Annie Sloan chalk paint to paint it "Graphite" and LOVE the way it looks. I also used chalk paint to paint the chairs. On my to do list....recover the chair cushions. I already have something in mind and can't wait to show you! I scored these egg decorations a few years ago at an "After Easter" sale at Pier 1. The eggs are starting to crack (I think from being in the HOT attic all summer), but I can't part with them just yet!! Marla TOTALLY helped me out with this!!! I can do a lot of things, but write a cute message with chalk is NOT one of them!! haha!! I tried and let me just say...Marla straightened my mess all out!! I threw some moss and eggs in the lantern and we added our burlap egg banner. LOVE how it looks! If you missed the banner tutorial, find it here. Thanks so much for stopping by!!! Hope you enjoyed our "Easter Tour"!! Andrea and I thought it'd be fun to share some of the goodies we're putting in our kiddos' Easter baskets. I'm SUPER practical when it comes to Easter baskets!! (That probably has a LOT to do with the fact my kiddos always have birthdays around Easter.) So...in baskets they usually get things I'd buy them anyway, but if they open in their basket it's WAY more fun, right?? 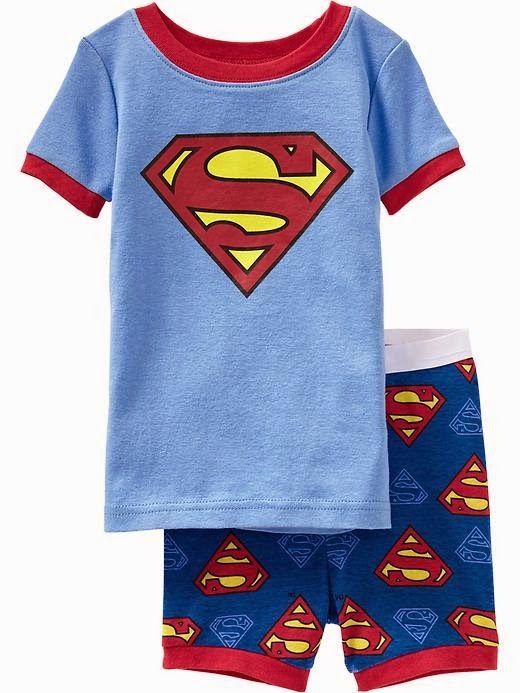 The boys both need new spring/summer pajamas, so I picked each of them up a pair of superhero pj's from Old Navy last week. I'm also throwing new goggles in for the big kids. 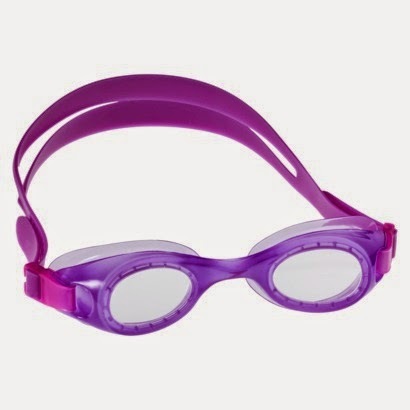 We swim a LOT in the summer, so we these goggles are a must for my kiddos. All board games are "buy one, get one 50% off" at Target right now, so I bought two games thinking I'd put them in baskets. But...I decided to give them each one for their birthdays. Either way, a board game is a fun addition to an Easter basket. 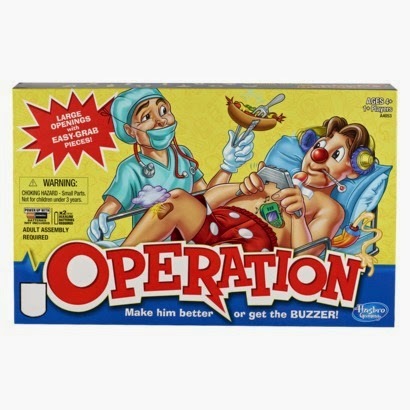 This Operation game is super fun for ages four and up! 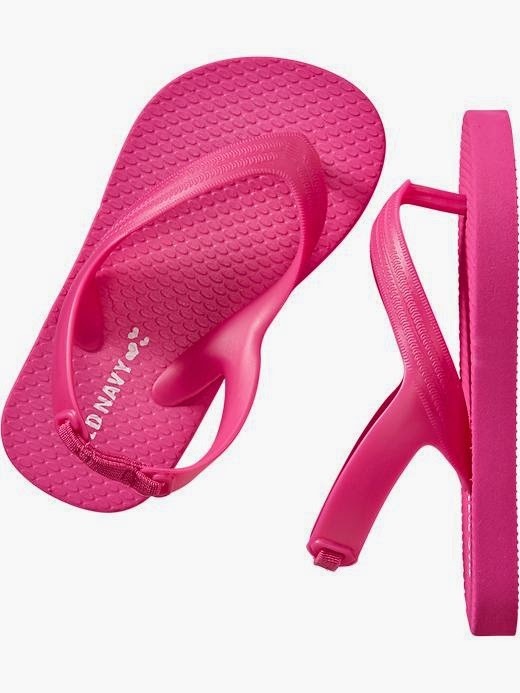 These Old Navy flip flops are perfect for the pool AND the Easter basket! 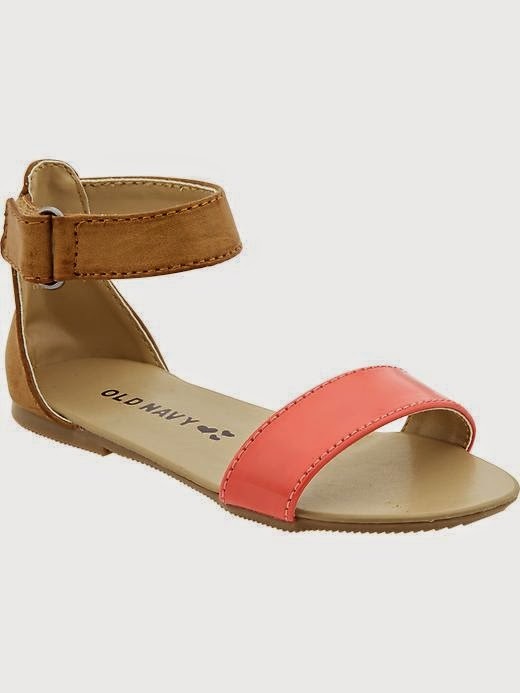 While I was searching for flip flops, I came across these adorable Old Navy sandals and had to share!!! LOVE these!! They also come in mint! 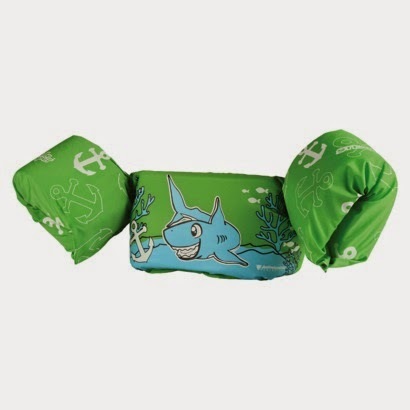 Bowen already has one of these Puddle Jumpers ready to go in his basket. The Slaughter boys are known for having NO FEAR of water. Nixon at 18 months was HILARIOUS!!! He constantly was going under (he even had a flotation device on) and whoever was closest to him would pull him up! It was funny, but we all had one eye on Nix at all times!! SO to all my friends who will be swimming with us this summer...you're welcome!! haha!! I'm hoping this Puddle Jumper allows us all to relax a little! Hope this list helps all you Easter bunnies out there!! Love your neutral Easter decor! Your home looks beautiful. Love all the decorations - you have to do a home tour blog!! That bunny lantern! I've tried to resist, but your post has put me over the edge... he HAS to come home with me ASAP :) Everything looks amazing! Great job!!! And the puddle jumper is kind of a gift to all of us... too funny! Love your Easter decor and I noticed your beautiful family portraits. I wish we had more of those from when my kids were little. So lovely! I love your "neutral" decor!! The eggs in the wire stands are my favorite. Your table turned out so cool with Annie Sloan chalk paint! Such great decorations and I just love your home, so beautiful!!! Totally love your house! It looks amazing! I think this is the first time you've actually shared most of your house! I love all of the neutrals! I am dying to refurbish our house in neutral colors when we buy again! Where did you get the burlap eggs? I always forget about flip flops until we need them. I need to pick those up for Xavier. Thanks! I bought the white bunny also. It is so cute (It comes in blue also). I also bought some eggs at Pier One. Easy, fast, cute Easter decorations. Oh my goodness!!!!!! You're house looks DARLING! I love all of your little touches!!!! Thanks ladies!!! I got the all the eggs from Hobby Lobby. I could not find eggs anywhere else. The burlap ones came from there too. I love your style. Your house is so pretty. I just love what you did for your Easter décor!! !